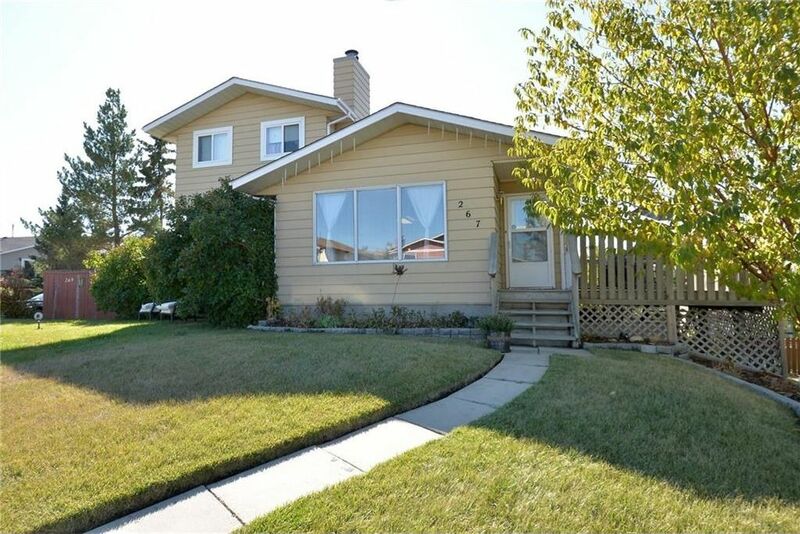 Where can you find a fully finished walkout bungalow with mountain views, a wrap-around deck, updated kitchen, hardwood floors, a double garage, 2 fireplaces (one wood stove), and a SW back yard that is within walking distance to all amenities for under $300K? Here, at 267 Glenpatrick Drive in Cochrane, that's where! Just a few steps to shopping, banking, restaurants, coffee shops, etc., & only a couple of minutes drive to hwy access, yet still on a quiet street. An inviting, cozy living rm w/ wood burning fireplace welcomes you in, and complements the kitchen and dining area for a nice, relaxing, open space. There are 2 bedrooms on the main - the master is huge and boasts its own balcony. A full bath completes this floor. The lower walkout level features a great family rm with wood burning stove, wet bar, laundry, 3 pce bath, an exercise rm with a window + closet and a den/office. The exercise rm may be converted into a 3rd bedrm with the proper egress. Detached dbl garage and great curb appeal!